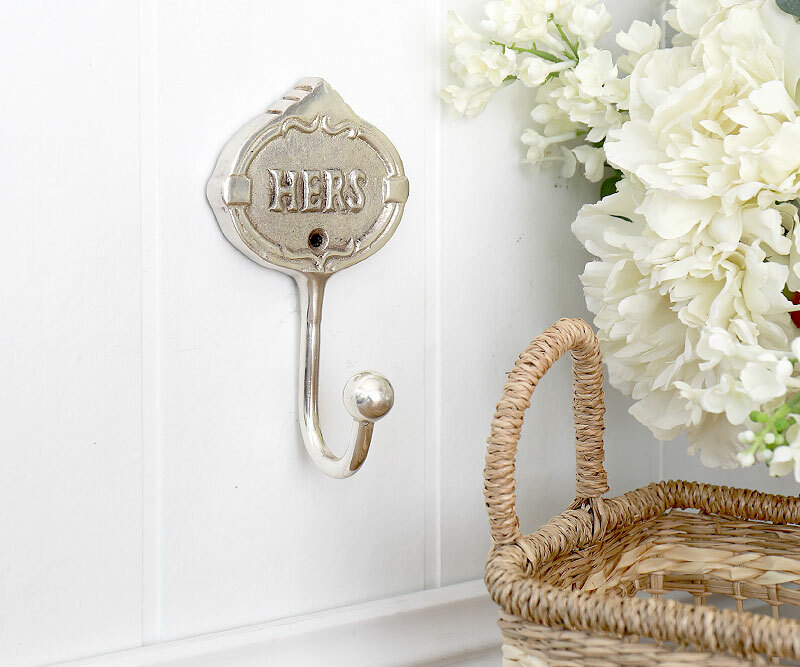 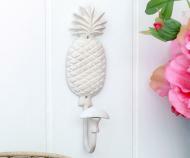 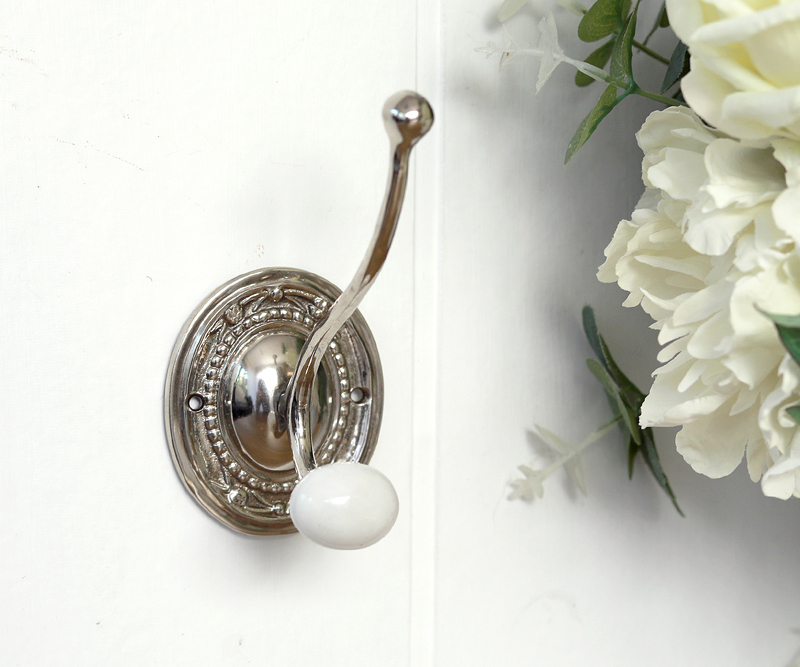 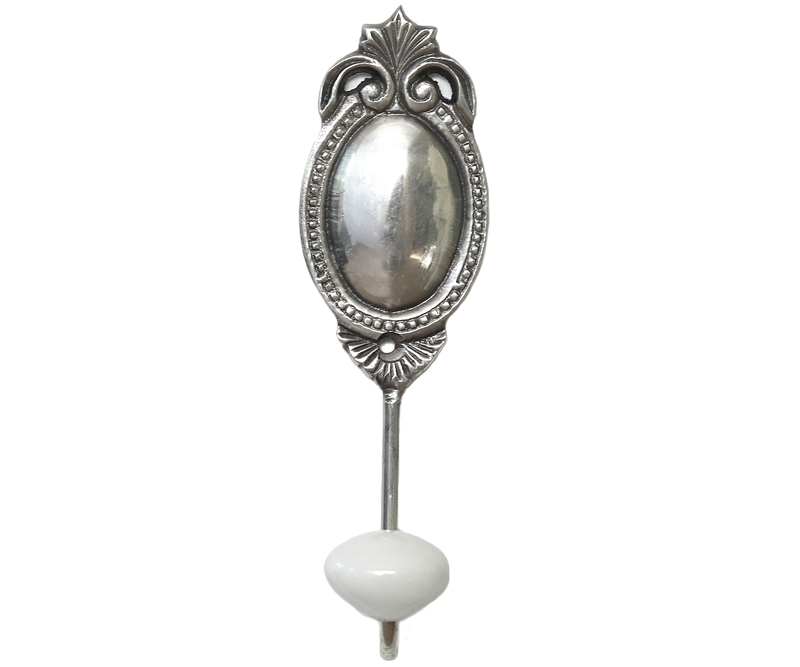 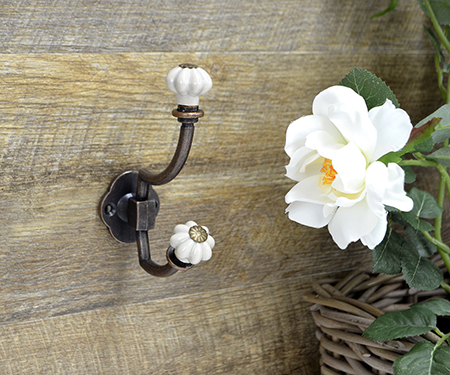 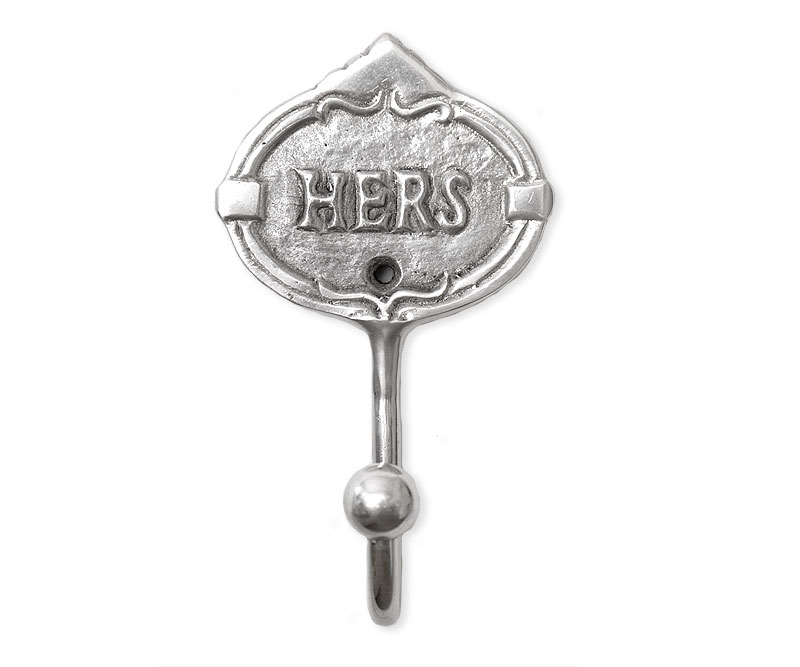 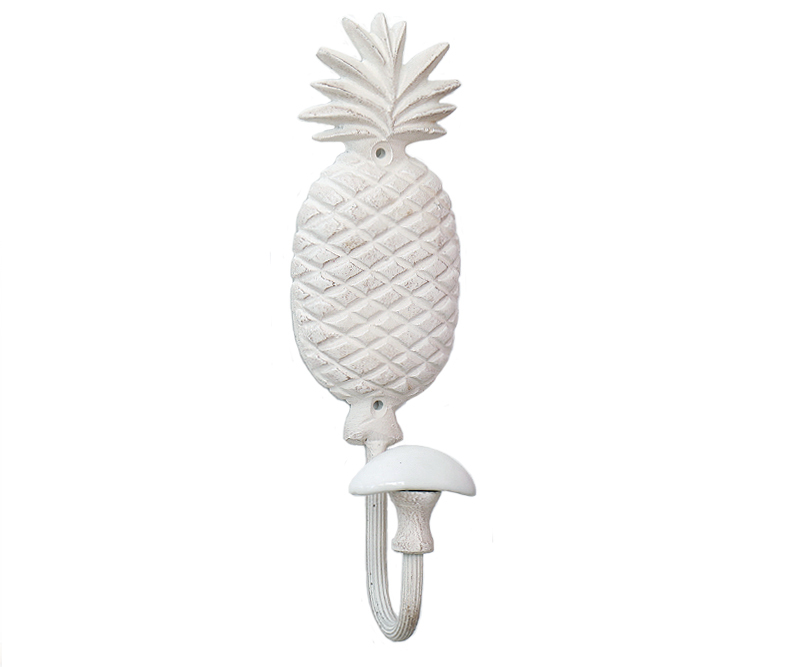 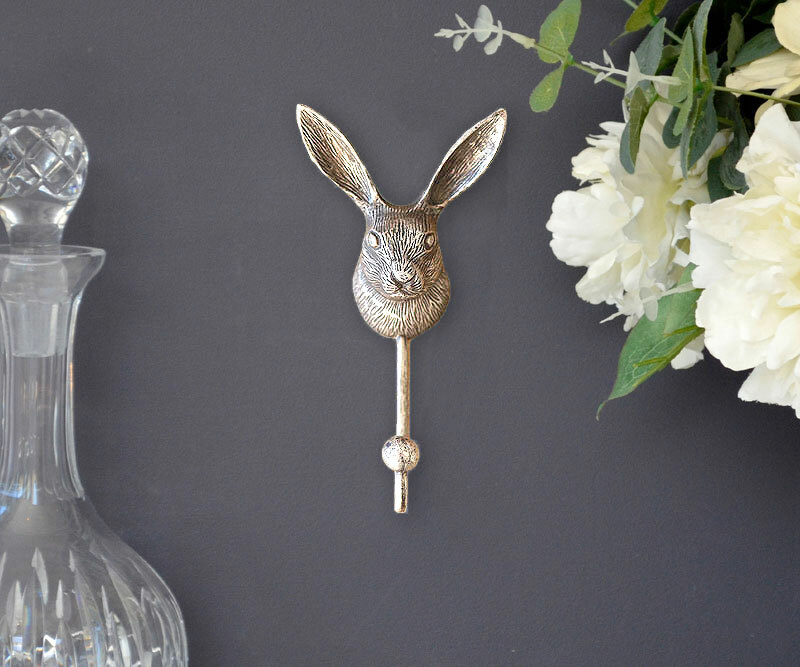 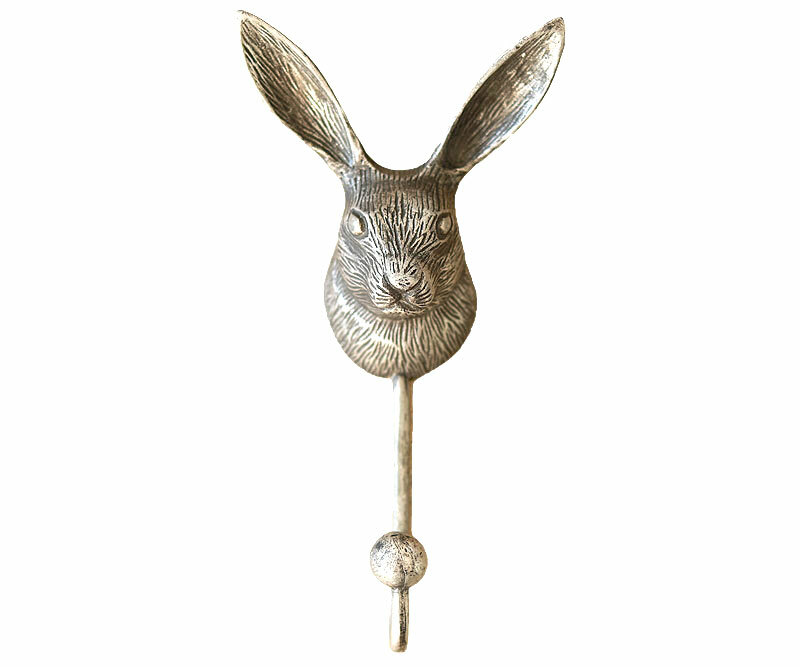 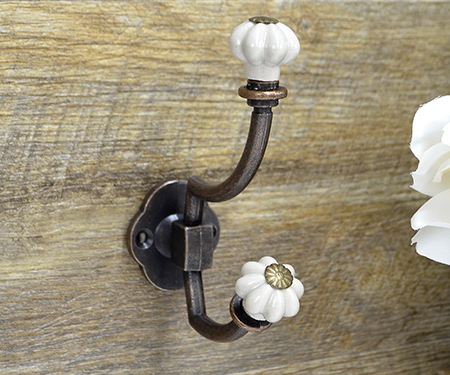 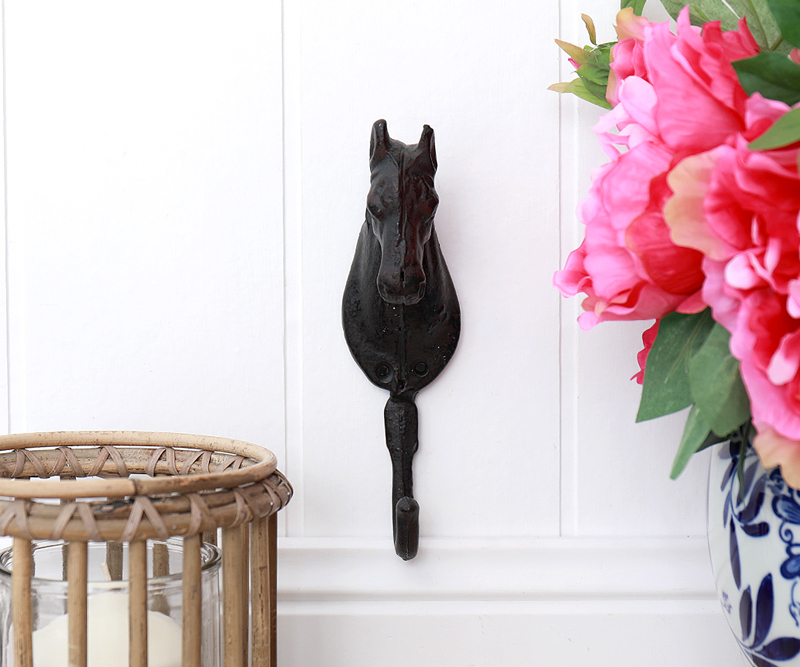 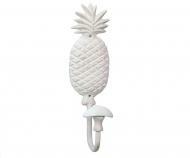 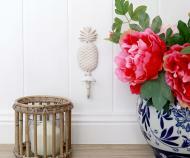 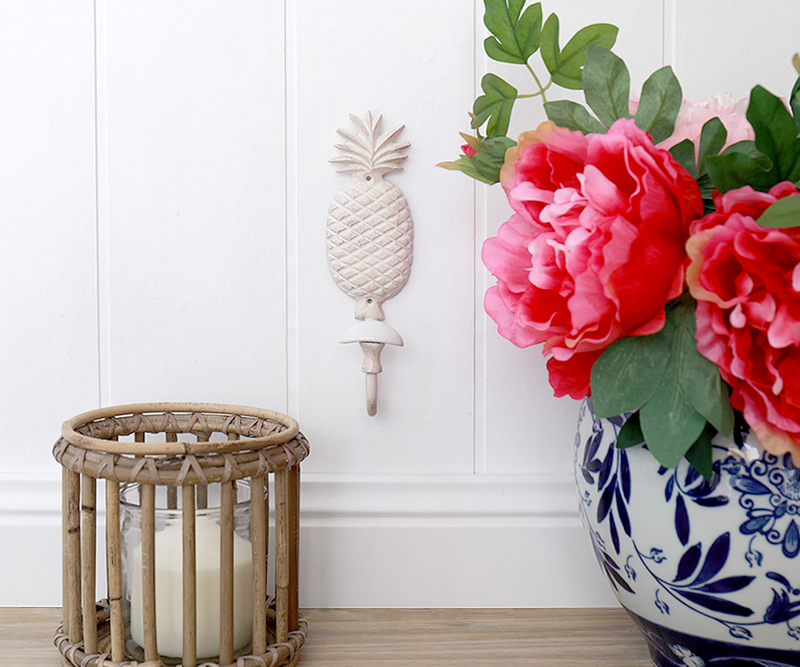 This large wall hook is made from cast iron and comes designed as a plantation style pineapple with a white painted finish and lovely white ceramic shoulder to hang your items on. 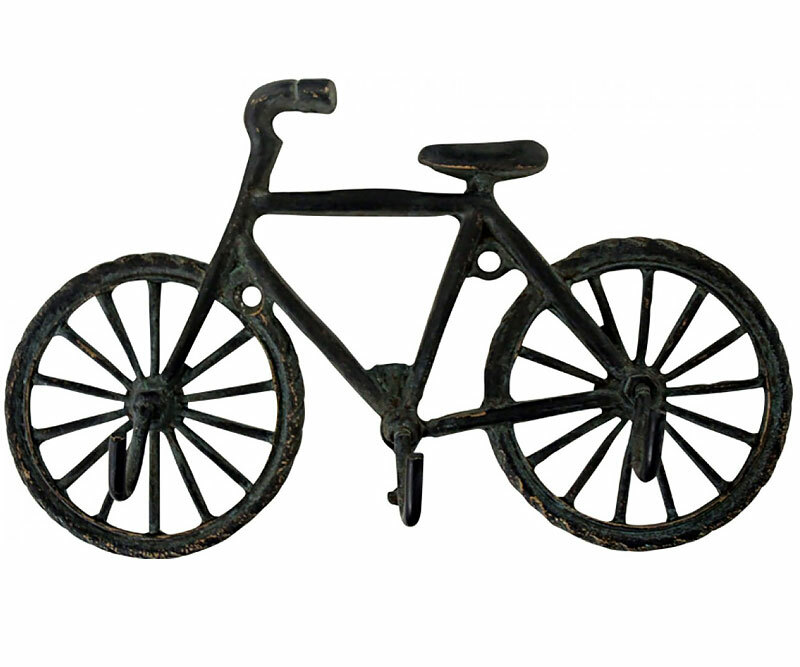 Measures approx 22cm tall. 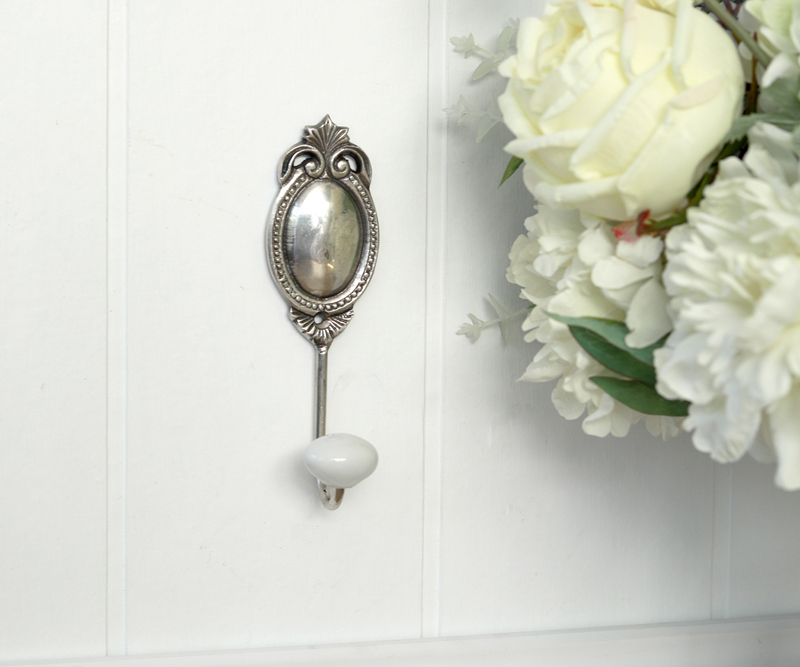 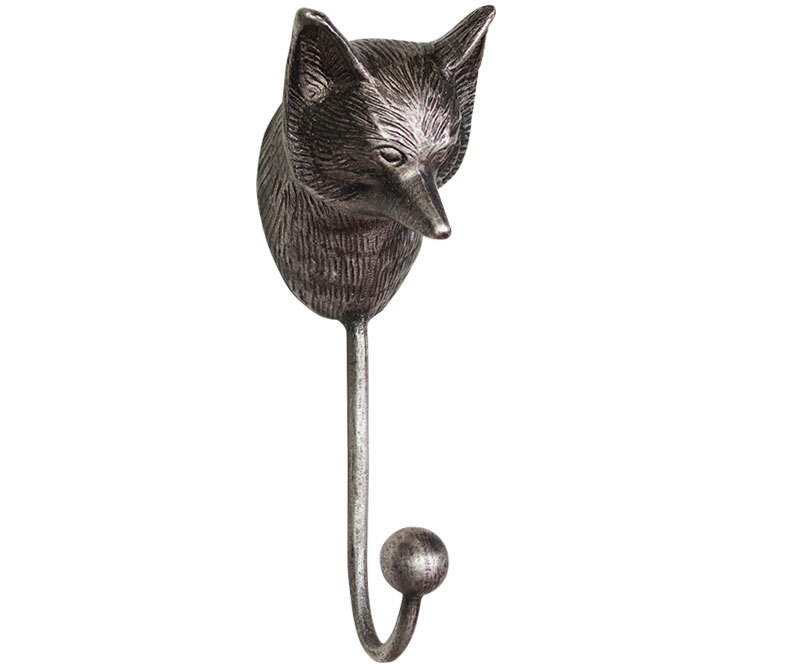 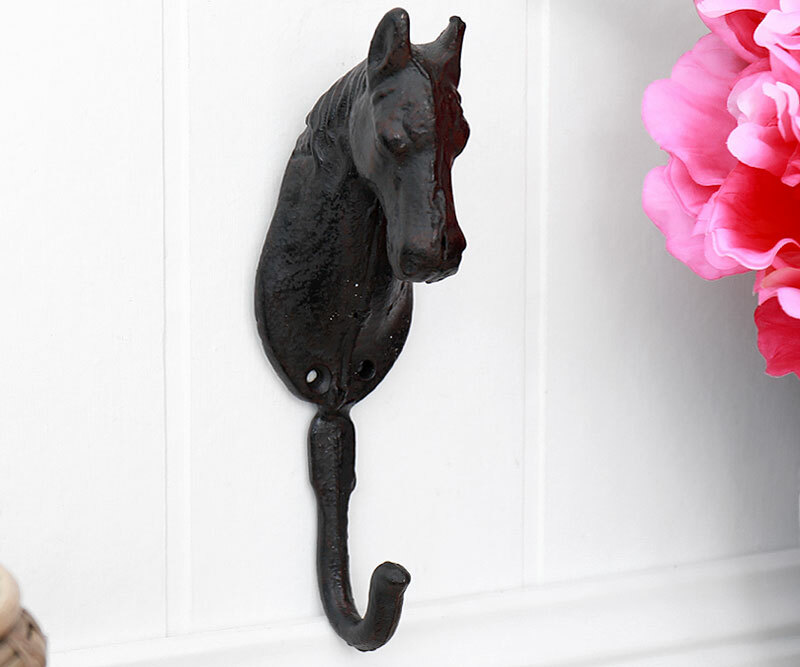 Designed to be attached to your wall or coat rack with two screws, this will be a strong hook solution for your hallway or anywhere you hang coats or hats.